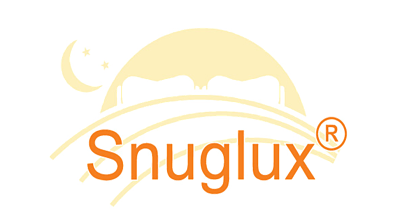 The Snuglux® Duvet Sleeping Bag isn’t just a sleeping bag. Stylish and luxurious, it combines the warmth and comfort of a sleeping bag with the practicality of a duvet cover. 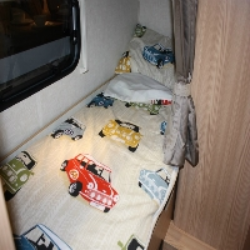 Our Child's sleeping bag cover takes a standard single sized duvet (1.35m x 2m) and so is 67.5cm wide x 2m long when folded in half and zipped together to create our version of a sleeping bag. The Snuglux Sleeping Bag has a removable cover, just like your home duvet, which means that you can launder the cover without the filling. A sleeping bag with a sewn in lining has to be washed in a large capacity washing machine and so, by avoiding costly trips to the launderette, you will recoup the cost of your cover in just a few washes. Your duvet remains protected by its cover and so will rarely need washing. You can choose to be as warm as you want by selecting your preferred tog rating from our range of Fogarty Hollowfibre duvets, all of which are anti-allergenic and machine washable. Alternatively, you may choose to purchase covers only and use your existing home duvet as the filling.